Have you ever said “I’m tired of the same old thing in Worship Music?” or “I wish there was more saxophone in Worship Music?” or “I want more saxophone, but its always lame?” or “I want to get a new record for a worship band with a Latin name that doesn’t exist anymore?” Well then, the new record by Proto Evangelion called “My Heart Has Spoken” is for you! Seriously though. 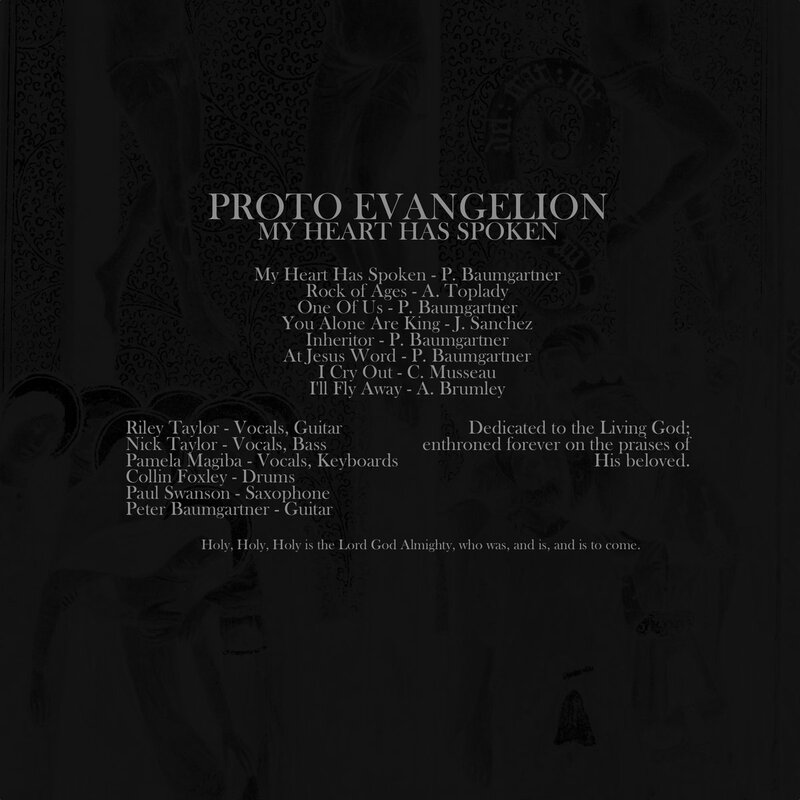 Proto Evangelion was a Seattle based worship band that stopped playing a while back. But in their time together they released three records. The full length “Dimly Lit”. The Christmas Ep “Emmanuel”, and now their final full length “My Heart Has Spoken”.